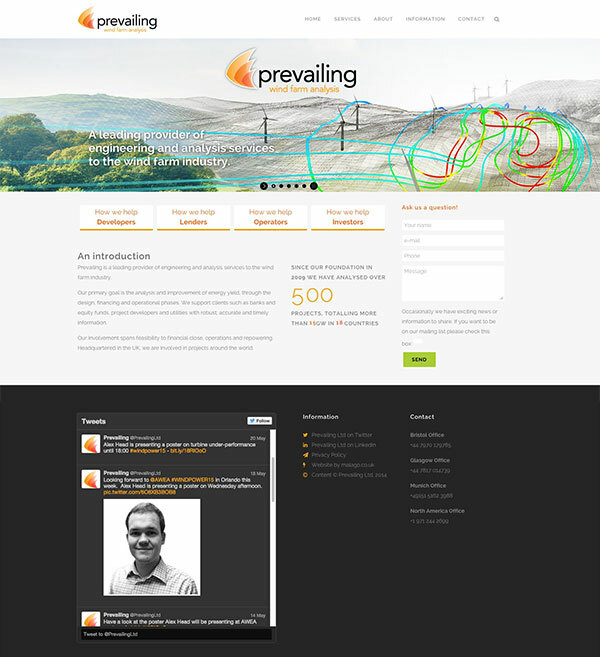 Prevailing is a leading provider of engineering and analysis services to the wind farm industry. They needed a fresh new website that was responsive and easy to maintain. They largely left the design up to me, and followed my advice. During my first few meetings with Matthew Colls, I thought I was chatting with their work experience intern, but it soon became apparent that he certainly knew what he was talking about when he started asking questions about the coding languages I would be using. It turns out he’s a director of the company and kind of a polymath. A great company of very smart and dedicated people who seem to love their job.